Soft lemon red light at the end of the day blended with the hills as little egrets lazily flew up the valley. 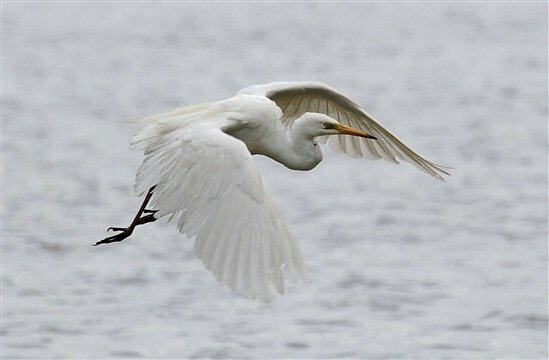 In the distant egret roost, viewed from Lillian’s Hide, a dozen or more pure white little egrets adorned the bare trees, standing out from the now shadowed scene. Among them stands a solitary great white egret; with at least three still present on the reserve you may see them from Tim Jackson or Grisedale hides, these being their favoured fishing spots. A single pochard sat low in the water on Lillian’s Pool and tufted ducks tucked themselves in small groups at the reed-fringed edges, bobbing around on the water. Two oystercatchers sat on the far bank among the snoozing teal. These pied, orange-billed waders are moving inland as they start to prepare to nest, so sightings around the reserve have increased. I turn my attention back to the horizon looking towards the causeway where 50,000 starlings are gathering in one large cluster, blotting the sky - still a deep blue above, but a front of snow was moving in to darken the scene behind them. In the last of the evening light over the causeway two brightly coloured male marsh harriers circled, rising higher and higher, twinkling as they turned to face the sun. Half the scene was saturated with colour as the hills behind gradually disappeared. Like a sand storm the snow front poured over the north of the reserve as I watched from Lillian’s Hide. 50,000 starlings and the harriers became lost in the blizzard. They were enveloped into it. The flecks of snow reached Lillian’s Pool and the mood changed to a scene of deep blue. As the flurry of snow settled on the open window I saw my breath in the cold air and felt a chill wind blustering into the space in front of me. Outside I watched a cormorant flying into the scene above, hurling itself through the feathery thick falling flakes. A group of fieldfare flew from the trees to the left of the hide as they passed through, as they have been for several days now. Their dark shapes in the decreasing light stood out as they scattered in rough formation. I admired a pair of shovelers that appeared close to the hide with their bills, as their name suggests, looking like large shovels making them distinct given how thick set they are. No doubt they were warm thanks to their excellent feathers. I thought about the starlings. 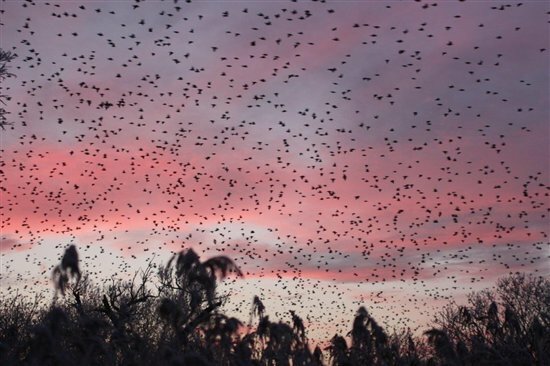 If we did not call their fabulous evening displays murmurations I think a blizzard of starlings may be an equally apt name, including the blizzard they create if you are foolish enough to stand underneath them! This evening was quite unique but the starling murmurations generally remain spectacular on the reserve each evening. They start gathering at about 5:30pm and eventually descend into the reeds at 6:10pm on good days. Providing it stays clear now is a perfect time to watch them before they disperse. In other news look out for displaying marsh harriers with lots of activity, particularly from the Causeway but also Grisedale Hide. 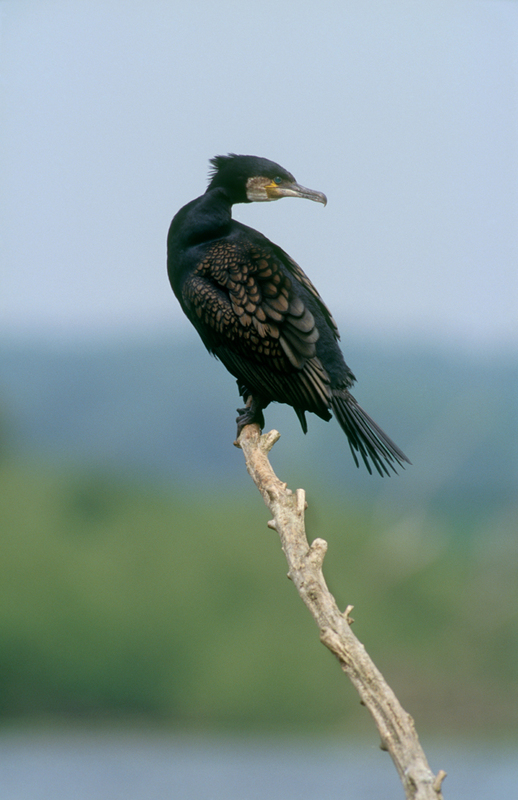 We now have at least 6 on the reserve including a recently arrived adult male. On an evening you may see several coming into roost from Grisedale. Great crested grebes are a highlight from the Causeway with a pair seen from this hide almost daily. Even on cold days most of the pools have retained areas of open water so appreciating the range and amount of ducks still on the reserve remains a rather nice highlight of the season. What with the temperatures predicted to drop we expect visitors may arrive to look for otters on the ice. During the time the Causeway Pool became iced over a few weeks back a dog otter was seen eating a fish on the ice surface whist at the same time a female with an older pup skirted the edge of the reeds. Look out for our famous otters on your next visit.